At some point after you have been introduced to meditation you will find yourself considering taking time to practice in a retreat. Meditation Retreats are a wonderful way to deepen your meditation practice, allowing yourself space to practice. There are various retreat structures to choose from, and they are all wonderful, ranging from a day of mindfulness at a house to weekend retreats sponsored by a local sangha to a mountain retreat center that welcomes participants all year long. Below is a list of the retreats coming up that will aid you in attending one that appeals to you at this time. Also check the various retreat websites for retreats not on this page. 8/17/18 (Fri) – 8/24/18(Fri) – Your Life Is Your Practice: Insight Meditation Retreat with Narayan Liebenson & Greg Scharf – Insight meditation (vipassana in Pali, the language of the original Buddhist teachings) is the simple and direct practice of moment-to-moment mindfulness. Through careful and sustained observation, we experience for ourselves the ever-changing flow of the mind/body process. This awareness leads us to accept more fully the pleasure and pain, fear and joy, sadness and happiness that life inevitably brings. As insight deepens, we develop greater equanimity and peace in the face of change, and wisdom and compassion increasingly become the guiding principles of our lives. – All are welcome to register for this retreat but we highly recommend that you have a daily practice with meditation to participate in a week long retreat. This retreat is focused on using the breath and the body to develop the practice of mindfulness. 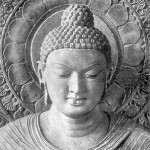 All retreats are considered silent retreats with the exception of Dhamma talks, question and answer periods. Leading this retreat will be Bhante Yogavacara Rahula, a visiting monastic, who has taught many retreats at the Bhavana Society and around the world. Yoga will be offered during the retreat.